The Gas Quality Synchronizer (GQSync for short) solves a problem that has plagued the gas industry for decades – keeping the Gas Quality information synchronized between a CONTROLLER and permanent storage. 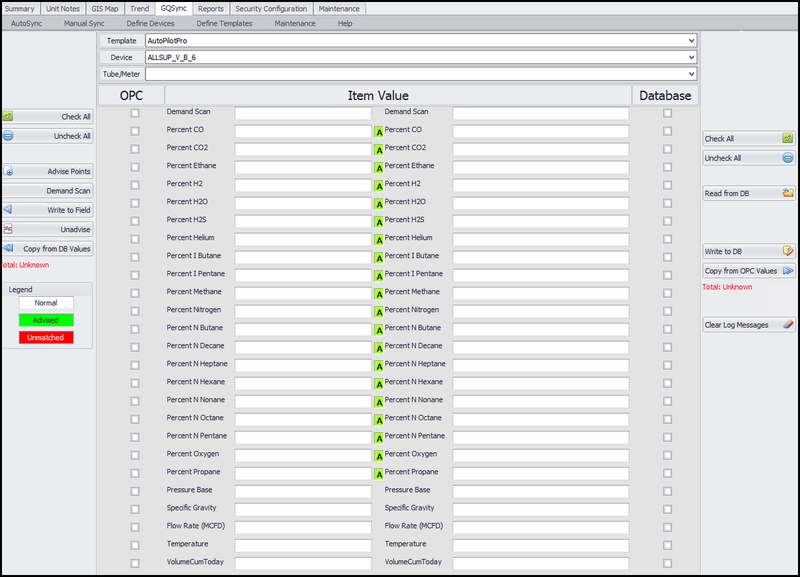 Permanent storage can be any ODBC compliant measurement databases such as MSSQL, Solomon, P2, PGAS, Flow-Cal, etc. From a simple interface, GQSync keeps your Gas Quality data synchronized between the field and your accounting system. You control what data is sent to the field, what is read from the field, what is read from the archive, and what is stored in the archive. GQSync contains a touch menu for tablets and mobile devices. This makes it easier to navigate the control menus in cases where it is hard to click/tap them.